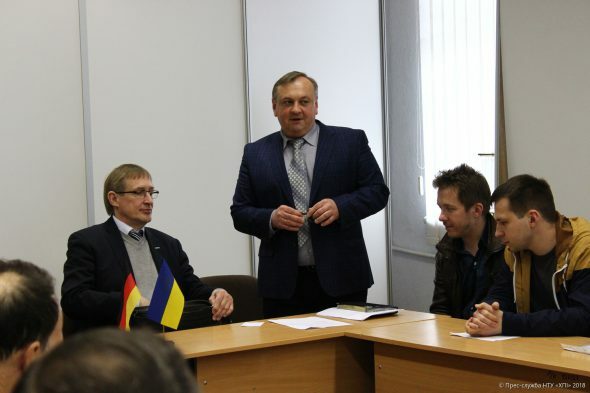 Polytech reactivates its Cooperation with the German University – National Technical University "Kharkiv Polytechnic Institute"
The delegation of Hamburg Technical University (Technische Universität Hamburg-Harburg, TUHH) visited KhPI. 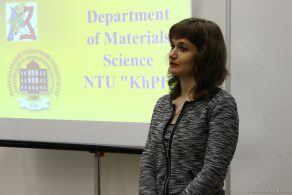 The purpose of this visit — to activate educational and scientific cooperation between the TUHH and the NTU “KhPI”. 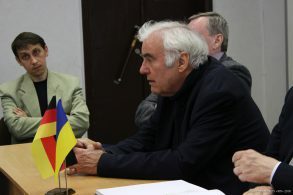 TUHH professors Hanno Schaumburg and Wolfgang Kersten carried on talks with the rector of the University and familiarized with the presentations of the scientific projects of NTU “KhPI”. 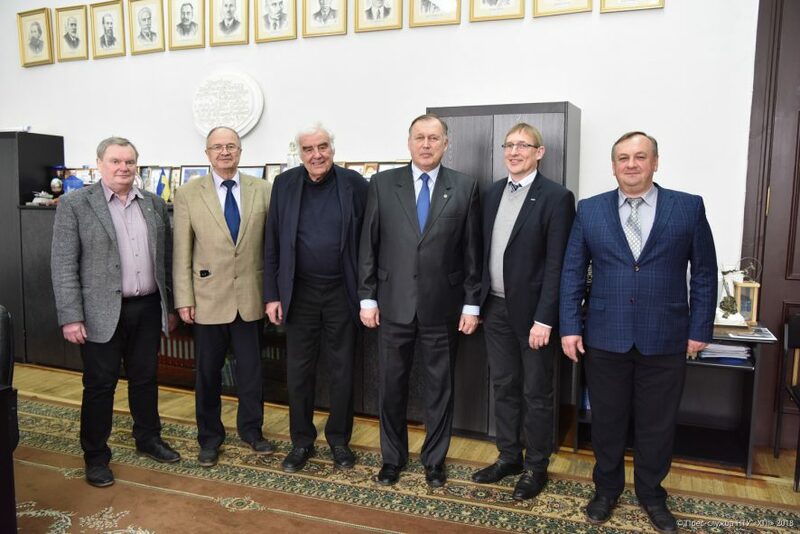 The participants of the meeting with Yevgen Sokol, the rector of NTU “KhPI” were also Gennadiy Khripunov, pro-rector in charge of scientific and pedagogical affairs, Oleksander Goncharov, chief of the Department for International Relations and Valeriy Kravets, Professor of the Department for Information Systems. 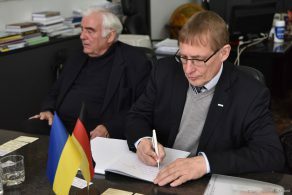 Speaking of the possibility of the exchange of students the rector mentioned that the German Educational Center functions at KhPI, and the students that study technical specialties at Polytech can learn German. 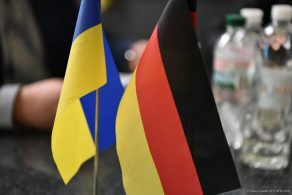 Thus, the students have an opportunity to participate in international programs that require the knowledge of English and German. 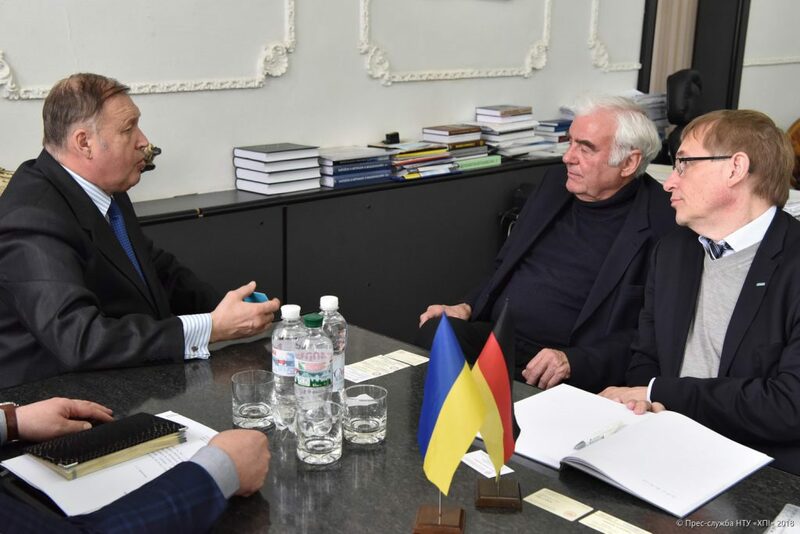 Professor Wolfgang Kersten stressed that the promotion of cooperation between the universities is highly desirable: “We must discuss the topics and spheres of our cooperation. We have an experience in dual education and all we need is to designate appropriate specialties. 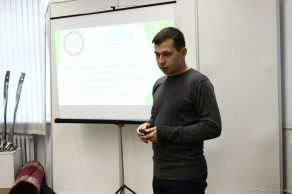 It is important to exchange not only students, but also post-graduate students and other scientific employees. 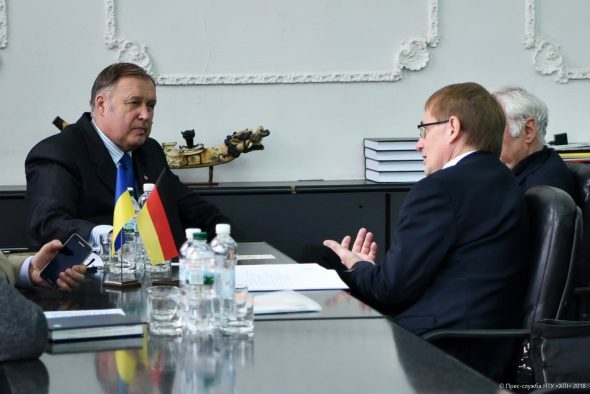 I believe we will be able to designate many spheres for our joint scientific projects”. 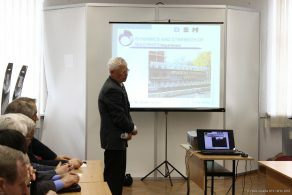 The roundtable discussion was held and the scientists of KhPI presented their latest developments to the German delegation. 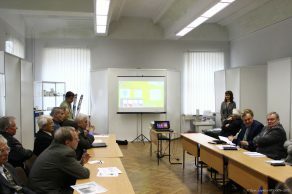 Presentations were made by experts from such departments of KhPI: Machine Strength and Dynamics, Material Science, Information Systems, Engineering Electrophysics and Theoretical Basics of Electrical Engineering, Physical Material Science for the Electronics and Solar Power Engineering, Metal and Semiconductor Physics, Industrial and Biomedical Electronics, Organic Synthesis and Nanotechnologies, Integrated Technologies, Processes and Apparatuses. 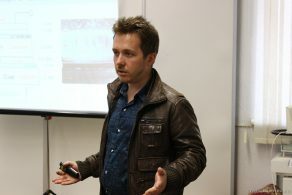 During its stay at NTU “KhPI” the delegation from Hamburg was given a tour around the Polytech Campus. Scientific and Technical Library of the University presented to them for the familiarization very rare ancient books in German (starting from the XVI century). 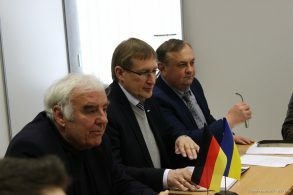 A two-day visit of Technical University Hamburg-Harburg was finalized by the agreement to cooperate in the field of the exchange of students and post-graduate students, execution of the documents for the joint ERASMUS+ K1 Project (academic mobility program), traineeship for the specialists of the university and search of the spheres for the realization of joint scientific projects. Technical University Hamburg –Harburg is situated in Hamburg and it was founded in 1978. It is one of the youngest universities in Germany. 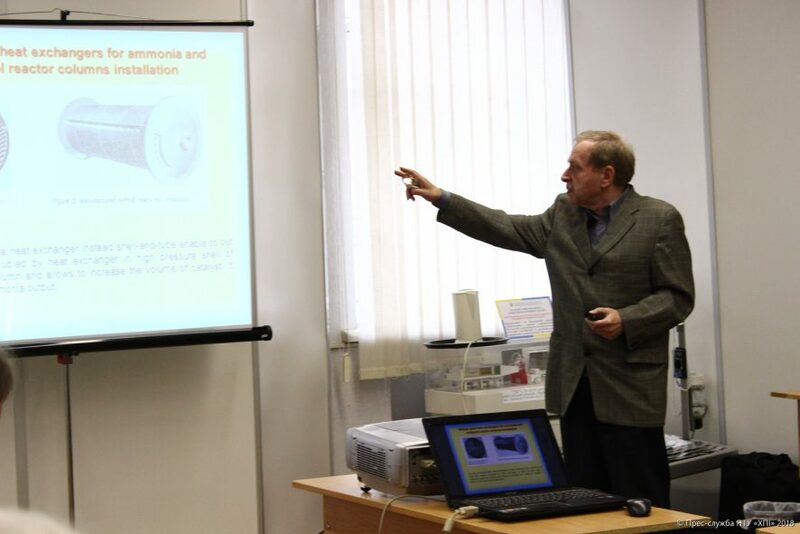 The studies are carried out at individual schools with the research done in biotechnology and engineering, sea and air transport, medical technologies, logistics and many other fields. 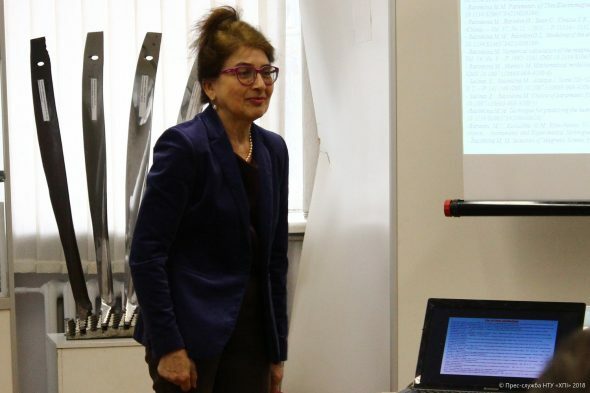 NTU “KhPI” and Technical University Hamburg–Harburg (Technische Universität Hamburg-Harburg, TUHH) have been cooperating since 1996 realizing joint Tempus Project to give training to students and postgraduate students at the Management and Logistics School of TUHH.